I doubt anyone who has worked in IT will be surprised to discover that the number one complaint of an admin: “There just aren’t enough hours in the day!” The majority of IT admins who responded of a 2014 GFI survey agreed that finding the time to do their job is their biggest challenge. Every IT team is driven to do more, faster… and more securely too. It’s a complicated time that requires complex and powerful tools. Thankfully, we live in an era where cloud-based apps and services exist in abundance to help make an IT admin’s job easier. It doesn’t take long to preach the importance of password rotation to coworkers at a security meeting. What does take a long time is repeatedly reminding and prodding employees to actually do it. IT admins can save time with tools that enable automatic password rotation. Keepass is a light-weight password manager with a 5 Star rating on SourceForge. There are lots of differences between LastPass and Keepass, but the main one? Keepass is open source, which security nerds love because its integrity can be scrutinized by anyone and everyone. Keepass doesn’t automatically put your database in the cloud (though you can choose to do so yourself via DropBox) which gives it another extra security edge over LastPass. It’s secure, easy to use, and you can run it out of your browser. LastPass’s slogan is “Simplify Your Life.” This is a perfect segue into getting your company’s employees using this password manager, as they can easily utilize unique, complex passwords across all their work and personal accounts without having to memorize them, and without having to store their passwords in an insecure place (we all remember the horribly embarrassing Sony leak where they stored their passwords in a document labeled “Master_Password_Sheet”). Their easy to use Generate Secure Password feature is great, but our personal favorite is the Security Challenge, where an employee can clearly see which holes they have in their passwords and fix them. A great idea to encourage secure passwords in your company is to have a competition where the co worker with the highest security score gets a free lunch + beer and bragging rights. Note: LastPass was recently hacked. While the hack wasn’t bad enough to expose users’ password vaults, it would be wise to use LastPass and other online password managers with a thumb drive as an authentication device. You’re most likely using Google Apps in some way or another in your personal life. And why wouldn’t you? From using Google Hangouts with your family, to storing documents and other resources on Drive, to collaborating on a personal project or using Gmail, Google Apps has a tool for just about everything. Even better, they now offer it all to businesses with Google Apps for Work. One large benefit is that you no longer have to spend time maintaining these things on premises through options like Office 365 and Microsoft Exchange. Everything is on the cloud, allowing your team to get more done, faster. Over 5 million companies use Google Apps, including more than half of all Fortune 500 companies. If your business isn’t using Google Apps, maybe it’s time to reconsider. How much time would your team save if they eliminated all internal emails? Woah there, Sparky. You may be thinking. I came here to save time, but this sounds too good to be true. Yet Slack has arrived, and companies are using it to partially or entirely eliminate internal emails. A “platform for team communications,” Slack launched in February 2014 and today has over 500,000 daily users, making it one of the fastest growing business apps ever. So what exactly is it? Essentially, Slack is a laid-back way of communicating with your co-workers you collaborate on separate devices and programs; a bunch of chat rooms for different groups and projects. Easy file sharing and search features make it quicker and easier to communicate and collaborate with your team and get stuff done. Slack also feels like you’re hanging out with a bunch of your friends, with chat rooms just for breaking up the workday grind and sharing funny gifs etc. And with studies showing that workplaces friendships lead to greater productivity, we’re all on board. Remote access tools enable you to access and control other computers remotely. This gives IT admins the power to instantly solve problems across the office without actually having to walk across the office, or to help remote or contract workers instantly, no matter where they may be located. One of the most used remote access software had been pcAnywhere, until Symantec announced the product’s end of life in January 2014. 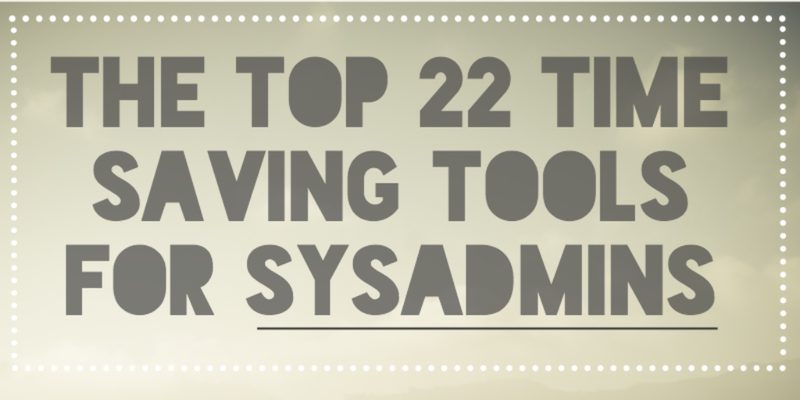 Now IT admins are looking for remote access tools to fill the void. IT admins know that LogMeIn is a terrible idea for a password, but the company donning its name makes it simple to “simply connect from anywhere” and remotely access, manage, and provide support to other computers in your company. With three different options ranging from password management, device support, and remote access, it’s a great one-stop-shop to make managing remote workers much less painful. TeamViewer is another prominent all-in-one remote support software, boasting 200 million users. Unlike LogMeIn which bills yearly, TeamViewer asks a one-time fee of $749, which may be better for your company depending on its size. For an in-depth rundown of features, Diffen ran a solid comparison between LogMeIn and TeamViewer. If your company uses Chrome browsers, this may be a great solution for you. Once you get through the somewhat involved setup process, you’ll appreciate this Chrome extension for its robust features and convenience. That depends on what’s right for you and your organization. Wikipedia’s comparison table of remote desktop software is a great decision-making aid. LifeHack also has a list of the 10 best free remote desktop tools. Our IT guru calls Single Sign-On “the holy grail” for IT admins. With the advent of the cloud and Software-as-a-Service (SaaS), Single Sign-On is a natural next step in granting easy one-step access to most or all of the SaaS apps you and your employees use. In fact, now there is such a long list of Single Sign-On implementations that it can be difficult to choose. Bitium is a SaaS-based software operating system providing app management, single sign-on and analytics for cloud-based apps. Bitium has rolled out cloud identity offering for Google Apps and the full list of apps Bitium is compatible with is pretty staggering. Okta is both an integrated identity and mobility management service. Built on the cloud, for the cloud, Okta securely and simply connects people to their applications from any device, anywhere in the world. Okta integrates with existing directories and identity systems, as well as thousands of on-premises, cloud and mobile applications. In November 2014, Okta introduced a new mobile management tool that distinguishes between work and personal data. With the era of Microsoft transitioning into a workplace full of Mac, Linux, and other devices, BYOD has become a bigger and bigger part of office culture. But managing these new devices, also known as MDM (Mobile Device Management) is a big pain without the proper tools. Meraki takes the WiFi network to the cloud. IT admins can manage and secure their networks remotely. With the Meraki App (rated 4.4 stars), you can do it all from your phone. Meraki was founded at MIT in 2006. By 2012, it was acquired by Cisco for an estimated $1.2 billion. Works well with Radius-as-a-Service. Founded in 2003, ZenPrise initially helped with the remote management of Blackberries. As the mobile device market has expanded, so too have ZenPrise’s services. Rebranded as XenMobile, they bill themselves as mobile device management (MDM), mobile application management (MAM) and enterprise-grade productivity apps in one comprehensive solution. If you want an in-depth resource, check out this table of MDM providers. Another option is to get a directory-as-a-service that offers BYOD management. Need a little extra computing power every once and while? Thanks to the cloud, we can now tap into virtual CPUs and memory. Google offers up its Virtual Machines (VMs) through Google Compute. Another popular Infrastructure-as-a-Service is Softlayer. Acquired by IBM in 2013, Softlayer offers virtual servers, managed hosting, and cloud storage. DigitalOcean is an IaaS that provides private servers, virtually. They lease out capacity from existing data centers and sell it back as ready-made private infrastructure. Businesses are buying. According to Wikipedia, DigitalOcean is adding 1,000 new users per day and growing at a rate of 850% a year. Launched in 2006, Amazon Web Services (AWS) now includes a host of remote computing services, including Amazon S3 and Amazon Elastic Compute Cloud. AWS plays with the big boys. Customers range from online heavyweights like Netflix and Reddit to Fortune 500 standbys such as Comcast and Kelloggs. This is great for the extra security minded folks out there who truly want to leave nothing to chance and have as little physical evidence of sensitive information available to hackers, or anyone else. And it’s fun to use. One member of our team says it makes her feel “like a secret agent on a mission”. Sounds like a winner to us! Solar Winds offers a suite of products that cover the spectrum from IT security to server, network, and database management. In fact, they offer an assortment of free tools for IT admins, including a network analyzer and an event log forwarder. RaaS provides you with pre-configured and fully maintained RADIUS servers. It’s scalable, so you can add as many RADIUS servers as you like. This grants you WiFi access control and authentication for your network devices, servers, and applications. For IT admins, it’s a huge time-saver because they never have to acquire/download, install configure and manage RADIUS servers again. It also gives you granular control over who can access which WiFi networks. RaaS enables you to track all devices, even mobile and tablets. A DaaS is works like a cloud based user-directory. Finally, IT admins have a way a centralized way to authenticate, manage, and authorize all employees, devices, and applications – whether on the premises or in the cloud. With JumpCloud’s DaaS, you can get many of the benefits of the above tools in one package. JumpCloud excels at BYOD management and backend cloud infrastructure. It’s great for security too, offering multi-level authorization and automatic password rotation tools. What’s Your Favorite IT Tool? Thank you for taking the time to read this list. We hope it saves you time in the long run. Let us know which tools we got right and which ones we missed on Facebook and Twitter.